Former leading lightweight jockey Allan Mackay has spoken for the first time about the devastating fall on the Newmarket gallops in March that has resulted in paralysis from the chest down. Mackay, 57, was airlifted to Addenbrooke's Hospital in Cambridge and put in an induced coma for 17 days after the fall on March 25, but he is now conscious and was last week moved to a specialist unit at Stoke Mandeville Hospital in Buckinghamshire to continue his rehabilitation. Winner of the Chester Cup on Silence In Court in 1998, Mackay suffered paralysis to his legs and most of his chest in the fall at exercise on Racecourse Side, in which he injured his T4 vertebra. According to doctors, he was just an inch away from being paralysed from the neck down, and broke every rib in his chest on impact, as well as sustaining a punctured lung. Thankfully, he does have use of his arms and has no brain trauma, meaning he can speak normally, and he is now gradually coming to terms with his life-changing injuries. 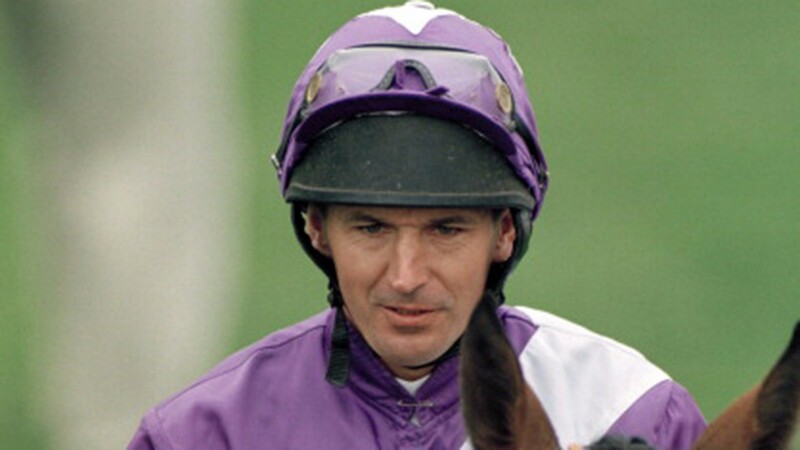 Speaking exclusively to the Racing Post, he said: "You couldn't make it up as I hardly had a fall during my whole riding career but I then had two within six months riding out. "This time I knew it was bad as the horse stumbled when I was pulling him up and fired me over his head. I knew I'd broken my back on impact and then to make it worse the horse then ran past and kicked me up the backside." Mackay, who partnered more than 500 winners, retired from race-riding in 2006 and was last seen in public participating in the Lester Legends race at Doncaster in 2012. He added of his injuries: "I'm not in good shape. It's another way of life and it's not me – I was always up and about in the mornings and now I can't get off my arse. "It's life-changing to know you'll never walk again but you just have to get on with things, and the doctors are pleased with my progress." Mackay is expected to spend around four months at Stoke Mandeville but it might not be that long such is his progress in his physiotherapy sessions. He said: "I'm doing physio five days a week and taking everything they chuck at me. I can turn over, move about and get in and out of the wheelchair no bother. "I can speak normally, but I didn't know where I was when I first came out of the coma because of the drugs they pumped into me." Mackay is visited daily by two of his sons, jockey Nicky, who himself is recovering from a broken leg, and former rider Jamie. He also has another son Ali, who has just graduated from university and a daughter Jay, who is a rising star of the pony racing circuit. Mackay added: "I'd like to thank everyone for their cards and messages, and I'd have replied to more of them if I had a better phone. Hopefully I'll keep everyone updated on Facebook as well as through the Injured Jockeys Fund."